The Adams Ranch Braford® has been developed as a unique breed of cattle by combining the best of the Brahman bloodline with the strong tropical climate hardiness with the classic Hereford cattle of England, long noted for the quality of their beef to create the Adams Ranch Braford®, a cattle that possess unequaled qualities to permit open range ranching in Florida’s sunny but tropical climate with the tenderness and taste of the Hereford tradition. Adams Ranch has given extra care to select for the qualities that have made the Adams Ranch BRAFORD® cow great, such as fertility, milking ability, easy calving, longevity, productivity, disease resistance and heat tolerance, or in other words, functional efficiency. Natural selection is used. 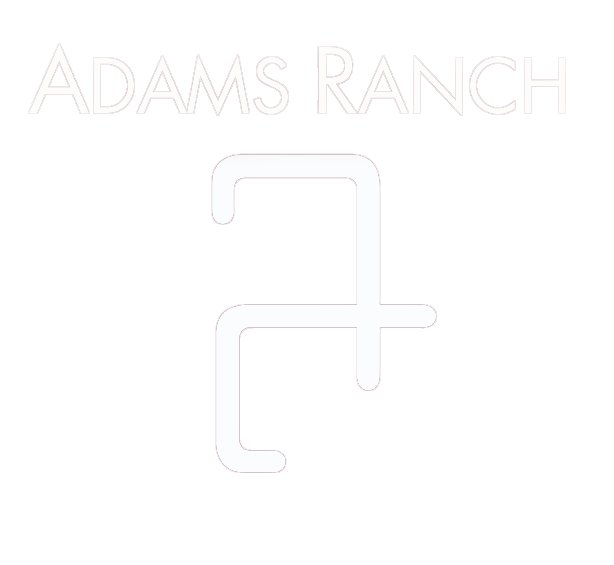 All Adams Ranch cattle have been calved unassisted for over 50 years. All of our cattle have pigmented eyes which have almost eliminated cancer eye. 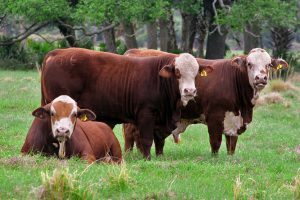 Particular attention is paid to weaning weights. Heifers are bred as yearlings and are expected to calve annually on adequate pasture. This ensures the retention of good maternal qualities. No grain or protein supplements are given to the cow herd and calves are not creep fed. It is not unusual for a 1,000 pound Adams Ranch BRAFORD® cow to wean a 700-pound calf each year.